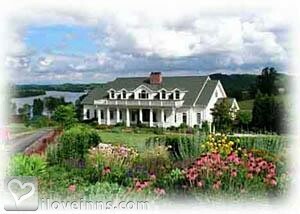 Kingston bed and breakfast travel guide for romantic, historic and adventure b&b's. Browse through the iLoveInns.com database of Kingston, Tennessee bed and breakfasts and country inns to find detailed listings that include room rates, special deals and area activities. You can click on the 'check rates and availability' button to contact the innkeeper. Kingston, TN is near Watts Bar Lake and there are two pro standard golf courses, Lakeside Golf Course and Southwest Point Golf Course. East Tennessee Paintball is nearby while nature-lovers, on the other hand, can leave their Kingston bed and breakfast accommodations to visit Obed Wild and Scenic River, at nearby Wartburg, or to Clinch River. There are several options for dining in Kingston. including Gibson Girls, PJ's Junction Caf�, Roadside Caf�, and Mamma Mia's Restaurant and Pizzeria, Good Eats, Buddy's Bar-B-Q and Blue Moon Caf�. By Whitestone Country Inn.